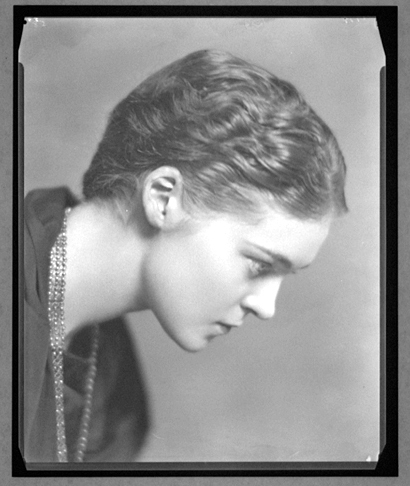 Eva Le Gallienne (January 11, 1899 – June 3, 1991) was a British-born American stage actress, producer, director, translator, and author. 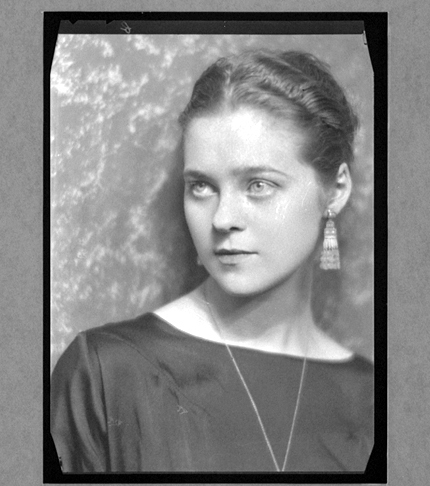 A Broadway star by age 21, Le Gallienne consciously ended her work on Broadway to devote herself to founding the Civic Repertory Theatre, in which she was both director, producer, and lead actress. Noted for her boldness and idealism, she became a pioneering figure in the American Repertory Movement, which enabled today's Off-Broadway. A versatile and eloquent actress herself (playing everything from Peter Pan to Hamlet), Le Gallienne also became a respected stage coach, director, producer and manager. Ms. Le Gallienne consciously devoted herself to the Art of the Theatre as opposed to the Show Business of Broadway and dedicated herself to upgrading the quality of the stage. She ran the Civic Repertory Theatre Company for 10 years (1926–1936), producing 37 plays during that time. She managed Broadway's 1100-seat Civic Repertory Theatre at 107 West 14th Street from 1926–32, which was home to her company whose actors included herself, Burgess Meredith, John Garfield, J. Edward Bromberg, Paul Leyssac, Florida Friebus, David Manners, and Leona Roberts. Le Gallienne was born in London to Richard Le Gallienne, an English poet of French descent, and Julie Nørregaard, a Danish journalist. They married in 1897 and separated in 1903, later divorcing. After Eva's parents separated when she was four years old, she and her mother moved to Paris, where she spent her childhood shuttling back and forth between there and Britain. While in Paris, she was taken backstage to meet Sarah Bernhardt, which, she said "made an enormous impression on me". She made her stage debut at the age of 15 with a walk-on role in a 1914 production of Maurice Maeterlinck's Monna Vanna, then spent several months in a drama school. She left to perform in a minor comedy as a cockney servant, and "brought down the house", receiving excellent reviews. The next year, at the age of 16, Le Gallienne and her mother sailed for New York City, where her first few productions were not successful, and she was released from another while it was performing in out of town tryouts. She then spent a season performing on the road and in summer stock. After travelling in Europe for a period of time, she returned to New York and became a Broadway star in several plays including Arthur Richman's Not So Long Ago (1920) and Ferenc Molnár's Liliom (1921) for the Theatre Guild. Le Gallienne consciously devoted herself to the "art of the theatre" as opposed to the "show business of Broadway", and was a pioneer in the emerging American Repertory Theater. She ran the Civic Repertory Theatre Company for 10 years (1926–1936), backed by the financial support of one of her lovers, Alice DeLamar, a wealthy Colorado gold mine heiress, producing 37 plays during that time. She managed Broadway's 1100-seat Civic Repertory Theatre (more popularly known as The 14th Street Theatre) at 107 West 14th Street from 1926–32, which was home to her company whose actors included herself, J. Edward Bromberg, Paul Leyssac, Florida Friebus, and Leona Roberts. As head of the Civic Repertory Theatre, she rejected the admission of Bette Davis, whose attitude she described as "insincere" and "frivolous". The Civic Rep disbanded at the height of the Depression in 1934, having mounted 34 productions. Le Gallienne was awarded the National Medal of Arts in 1986. Le Gallienne never hid her lesbianism inside the acting community, but reportedly was never comfortable with her sexuality, struggling privately with it. She reportedly briefly considered arranging for a "front" marriage with actor Basil Rathbone. During the early days of her career she often was in the company of witty, libertine actresses Tallulah Bankhead, Estelle Winwood and Blyth Daly, with the four being dubbed "The Four Horsemen of the Algonquin", referring to the Algonquin Round Table. In 1918, while in Hollywood, she began an affair with the actress Alla Nazimova, who was at her height of fame, and who at that time wielded much power in the acting community. The affair ended reportedly due to Nazimova's jealousy. Nonetheless, Nazimova liked Le Gallienne very much, and assisted in her being introduced to many influential people of the day. It was Nazimova who coined the phrase "sewing circles", to describe the intricate and secret lesbian relationships lived by many actresses of the day. Le Gallienne also was involved for some time with actresses Tallulah Bankhead, Beatrice Lillie and Laurette Taylor during that time. In 1920, she became involved with poet, novelist and playwright Mercedes de Acosta about whom she was passionate for several years. She and de Acosta began their romance shortly after de Acosta's marriage to Abram Poole which strained their relationship. Still, they vacationed and travelled together often, at times visiting the salon of famed writer and socialite Natalie Barney. De Acosta wrote two plays for Le Gallienne during that time, Sandro Botticelli and Jehanne de Arc. Neither was successful. They ended their relationship after five years. In 1960, when de Acosta was seriously ill with a brain tumour and in need of money, she published her memoir Here Lies the Heart. The reviews were positive and many close friends praised the book. Le Gallienne was furious, denouncing de Acosta as a liar and claiming she invented the stories for fame. But many of de Acosta's affairs, including that with Le Gallienne, are confirmed in personal correspondence. By early 1927, Le Gallienne was involved with married actress Josephine Hutchinson. Hutchinson's husband started divorce proceedings and named Le Gallienne in the divorce proceedings as "co-respondent". The press began accusations that named Josephine Hutchinson as a "shadow actress", which at the time meant lesbian. Five months later, Le Gallienne performed in a play about Emily Dickinson, titled Alison's House. The play won a Pulitzer Prize. Le Gallienne and Hutchinson performed together in several plays at the Civic Repertory Theatre, including in Dear Jane (1932), a play by Eleanor Holmes Hinkley based on the life of Jane Austen. Hutchinson was cast as Jane, and Le Gallienne both directed and played her sister, Cassandra Austen. At the play's end, Hutchinson's Jane refuses three male suitors in order to run off to an unmarried future living with her sister, Le Gallienne's Cassandra. In late 1929, just after the stock market crash, Le Gallienne was on the cover of TIME. During the Great Depression that followed, she was offered directorship of the National Theatre Division of the Works Progress Administration by President Franklin D. Roosevelt. She declined on the grounds that she preferred working with "true talent" rather than nurturing jobs for struggling actors and actresses. She was instrumental in the early careers of Peter Falk and Uta Hagen, whom she cast as Ophelia opposite her own portrayal of Shakespeare's Prince Hamlet. In the late 1930s Le Gallienne became involved in a relationship with theatre director Margaret Webster. She, Webster, and producer Cheryl Crawford co-founded The American Repertory Theater – no relation to the institution in Cambridge, Massachusetts later founded by Robert Brustein – which operated from 1946 to 1948. In the following years, she lived with her companion Marion Evensen (September 28, 1891 – September, 1971). In the late 1950s she enjoyed great success playing the role of Queen Elizabeth in Mary Stuart, an off-Broadway production. In 1964, Le Gallienne was presented with a special Tony Award in recognition of her 50th year as an actress and in honour of her work with the National Repertory Theatre. The National Endowment for the Arts also recognised her with the National Medal of Arts in 1986. Le Gallienne became a naturalized United States citizen in 1927. In 1982, Le Gallienne returned to the stage to play the White Queen in Alice in Wonderland at the Virginia Theatre, directed by Le Gallienne and co-directed by John Strasberg. This production was produced by Sabra Jones and was intended to initiate The Mirror Theater Ltd and the Mirror Repertory Company. On June 3, 1991, Le Gallienne died at her home in Weston, Connecticut from natural causes, aged 92, and her ashes were scattered over her property in Weston, Connecticut. 1955 Prince of Players Gertrude in "Hamlet"
^ a b c d Staff. (June 5, 1991) "Eva Le Gallienne, Actress, Is Dead at 92" The New York Times. Accessed: September 30, 2015. ^ Staff (May 30, 1942). "Producer of Play Found Dead in Hotel", The New York Times; accessed September 30, 2015. ^ a b c d e f g Retter, Yolanda. "Le Gallienne, Eva (1899-1991)", GLBTQ. Accessed: September 30, 2015. ^ Looser, Devoney (2017). The Making of Jane Austen. Baltimore, MD: Johns Hopkins University Press. p. 121. ISBN 1421422824. ^ 1964 Tony Award Winners Tony Awards website. Accessed: September 30, 2015. ^ Naturalization records for Eva Le Gallienne (a), ancestry.com; accessed October 10, 2015. ^ Naturalization records for Eva Le Gallienne (b), ancestry.com; accessed October 10, 2015. ^ "Alice in Wonderland." IBDB - Internet Broadway Database. The Broadway League, n.d. Web. 10 Jan. 2017. <https://www.ibdb.com/broadway-production/alice-in-wonderland-4200>. ^ Wilson, Scott. Resting Places: The Burial Sites of More Than 14,000 Famous Persons, 3d ed. : 2 (Kindle Locations 27333-27334). McFarland & Company, Inc., Publishers. Kindle Edition. ^ "Eva Le Gallienne". IMDb. Retrieved March 29, 2014. 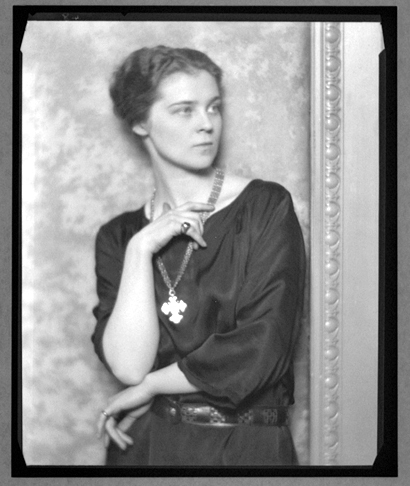 Wikimedia Commons has media related to Eva Le Gallienne.